Lately I have been getting a few emails from people looking to move to Ireland with their pets. The number one question they ask is how easy is it to find a place to live with your pet. In the sage words of Nelson Mandela, it always seems impossible until it is done. Although I am sure he never meant it for moving to a new country with your pet. 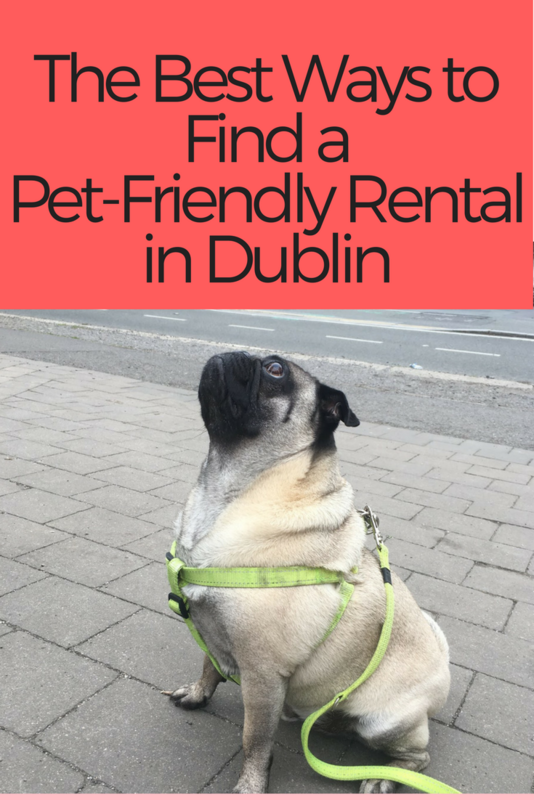 Although it is super tricky to find a rental that is pet friendly, it is possible. 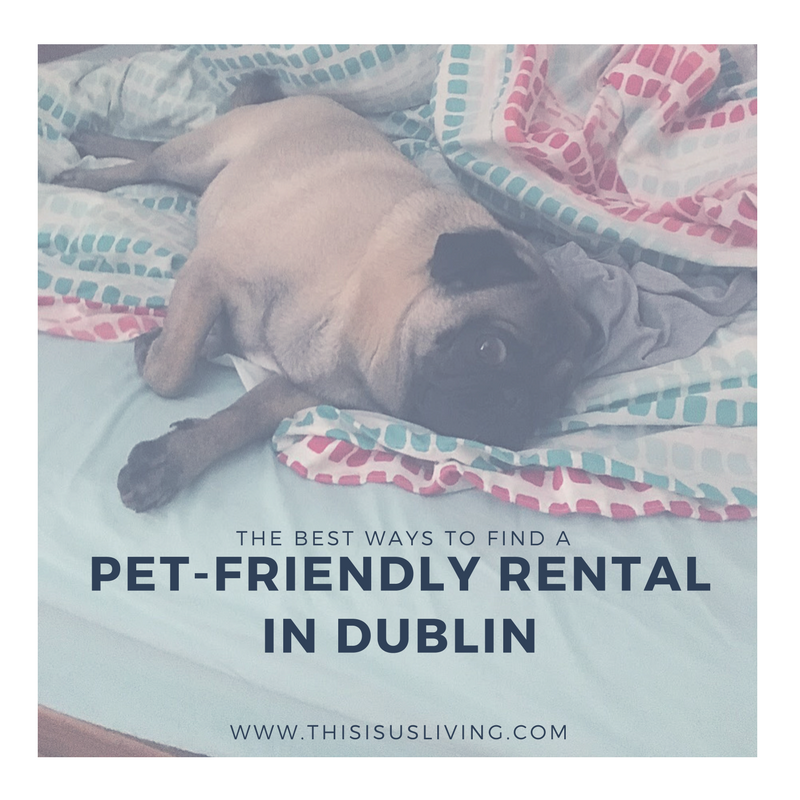 I tried to list a few of the considerations you should have when looking for a pet-friendly rental in Dublin. 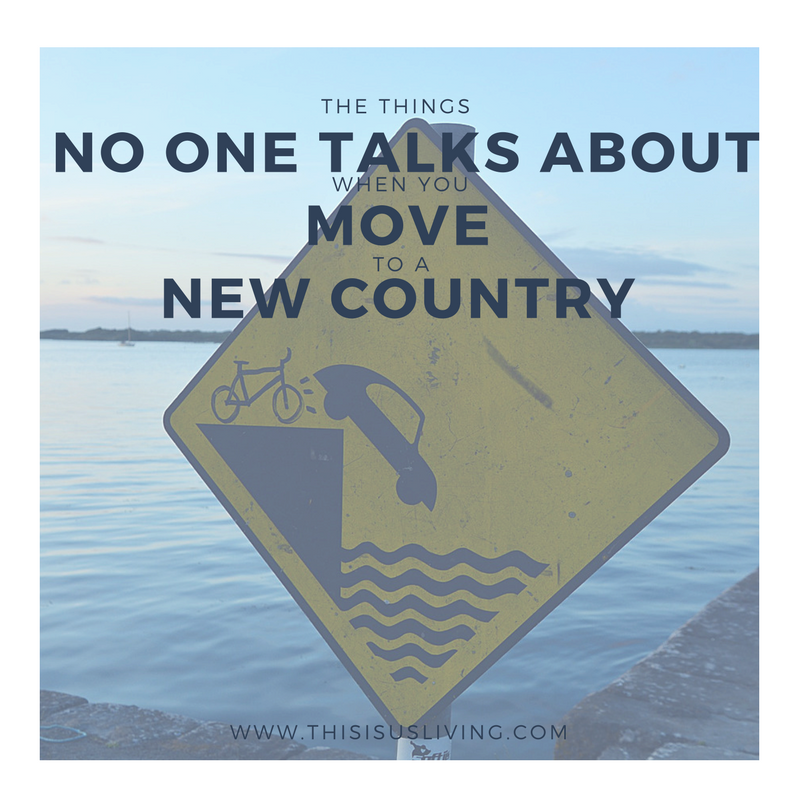 While moving your pet over to Ireland can be relatively easy to do (no quarantine definitely helps, but read my post on all you need to know about moving your pet to Ireland f you need help with this.). The trick is once you are over here; it is a bit of a stress finding accommodation for the whole family, fur babies included. If you can – divide and conquer. We didn’t want to kennel Jack while we looked for a place to stay, so my husband moved over a few weeks before we did to find a pet-friendly place. Search online, but try do it while you are in Ireland. 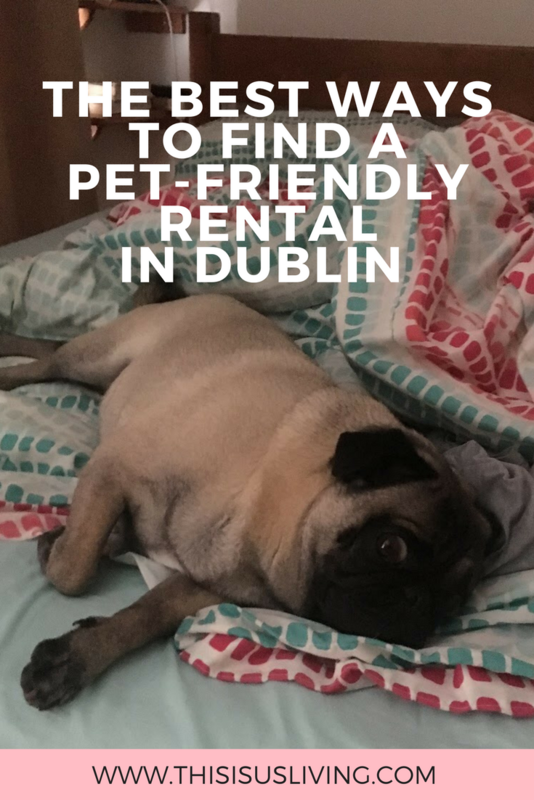 We looked online, on www.daft.ie, to find a place to rent in Dublin. I think we were lucky, given the time we moved over and that my husband was available to meet at any time of the day. We found a place within 10days, and were able to move into the place 4 days later. I do think that was a bit of luck and the fact that the place we found was empty already helped move the process along quicker than expected. Narrow down the search, by looking for what you need. It is better to look while one of you is here; this is because places go so quickly. When you are looking for places online, try advanced search settings by looking for places that are privately managed by the landlord and not a rental agent. This is because a landlord can make a decision on the spot on whether he/she is happy to allow pets – a rental agent will need to sign this off with the owner, and it is far easier for that person to say no if they haven’t met you. Search for places that have a garden or small outside area. You will also find it more likely to find a pet friendly lace in a house, versus a flat. I guess this might also come down to what kind of pet you have, but a flat doesn’t just mean what the owner allows – you also need to factor in what the body corporate of that block of flats allow. Be available to act fast. You will need to act fast, if you see a place that ticks all your boxes, be available to go see the place and make a decision right there. One of the deciding factors to how we were able to secure the home we live in now, was that Rob was able to draw the deposit and offer it right then and then. Be prepared to pay a bit more. If you can, you might have to budget a bit more, in some cases I have heard of people offering a double deposit to secure a home for themselves and their pet. Depending on where you want to live, rental prices in Dublin are quite pricey. We chose to find a place that was closer to the city, and central to public transport because we don’t own a car and we also wanted to experience living in a city versus outer areas which are more similar to the suburbs we had back in South Africa. We ended up with a place that is a bit older and with basic furnishings than what we hoped, but it’s central and close to bus, train and luas (tram) so it’s the perfect lock up and go for us. We are super lucky that our landlords are really nice, and they allowed us to keep Jack with us which was the most important thing! HOW DID YOU FIND PET FRIENDLY PLACE TO RENT IN YOUR TOWN? Like everything on this blog, it is based off my own experience. I can fully answer any questions to permits and ways to go about getting a permit that is same as my own journey. For people coming with different passports, or different work situations, I strongly suggest you read this post but also refer to this link for all the information you might need. 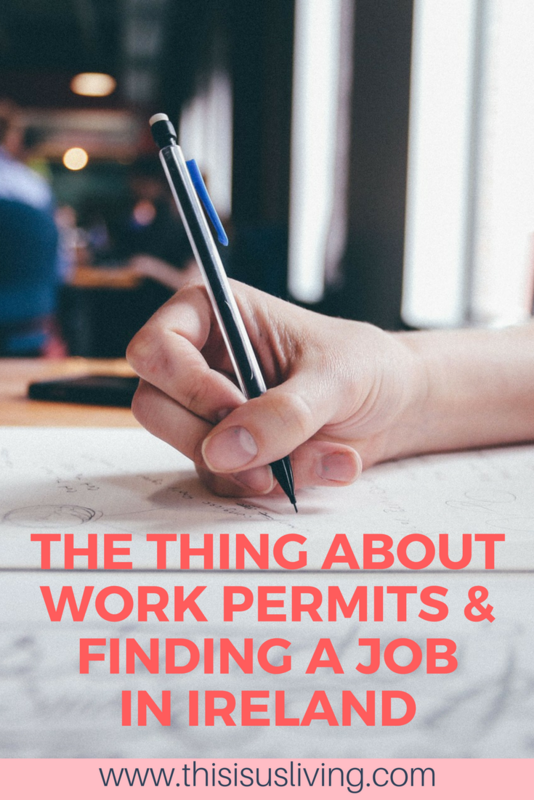 There are so many variables, and different work permits available, I have chosen to talk about the three main ones most people will find themselves in. There are different options for people wanting to work as a student, doctor, carer, working in a pub or restaurant etc – I am sorry, I don’t know much about this. Rob (my husband) is on a South African passport, I am on a Canadian. But for issues relating to living and working in Ireland, those different passports essentially have the same T&C’s to be able to work and reside in Ireland. Rob got a job in Ireland before we arrived, and he is on a critical skills work permit. This is important to note, because it means that I can apply for a spousal/dependent work permit. When we first arrived, I worked on contract remotely with my previous South African employer for 6 months, that ended at the end of March 2017. I started applying for jobs almost the minute we arrived, but because I did have work to do, I only really actively started applying for jobs from end of January 2017. This is partly because I was working, but also because the closest appointment I could get to get my GNIB card was mid Jan, and I thought I might need this to apply for a work permit. Your GNIB card is a card that shows what permission or restrictions you have to live and work in Ireland. For a detailed reference on what each stamp means, look at this link. For purposes of this post, I won’t go into details surrounding GNIB, but basically if you intend on living in Ireland, you will need to register for one. You are an Irish or EEA (for right now, this includes the UK, but with brexit, that could change) or Swiss National. You are married to an Irish/EEA/Swiss National. You are a parent to an Irish Citizen. You have received special permission to be in the state (i.e a student). If you fall into one of the above categories, you probably don’t need to read on. You will find that life will be infinitely easier for you, because really the biggest admin related issue we have found about living in Ireland has been applying and securing a job and a work permit. I think this is largely due to the fact that we require a work permit to be able to work, and that processing of these permits can take a while. So I have personally found a lot of companies I applied to just didn’t ever get back to me. All non-EEA nationals need a work permit to work in work in Ireland. 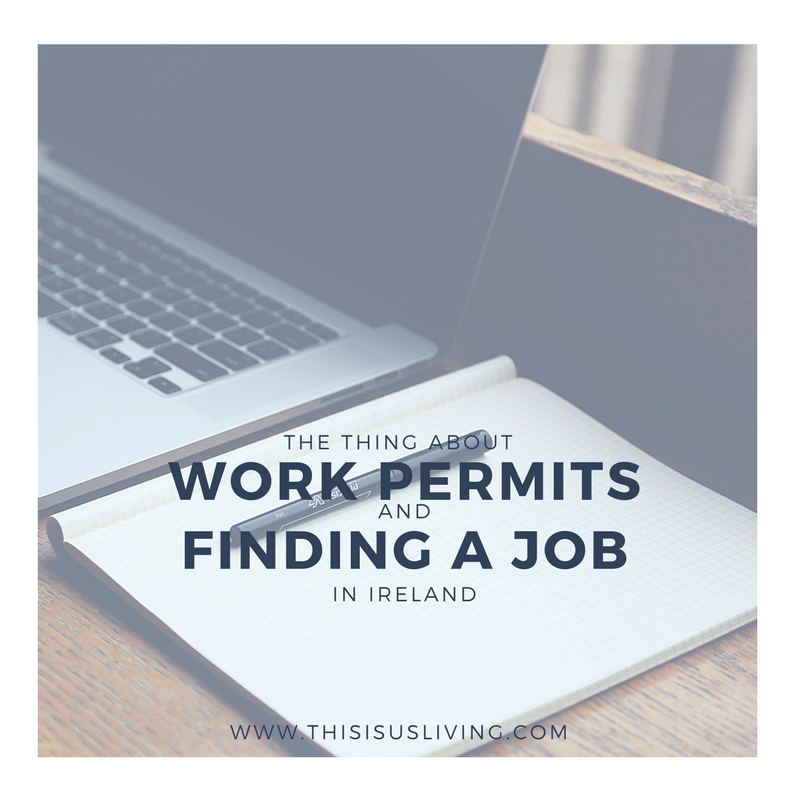 Having a work permit is not the same as being legally allowed to live in Ireland. If you have any questions on either, Citizen Information is incredibly helpful. I have called them a few times and they can explain what you need to do. You can apply for a critical skills work permit if your work skill is on the highly skilled list, or if you are earning a salary of more than EUR60k annually. This work permit is for 2 years, it does cost EUR1000 to process this type of permit. The huge benefit of this type of permit is that you spouse/dependent can apply for a work permit. However it does mean that should the person holding the critical skills work permit lose their job or change to another type of work permit; then the spouse/dependent will lose their work permit. The two work permits are essentially tied together. This is a work permit most people will apply for. This allows you to work in Ireland, however the biggest hurdle is that a labour market needs test needs to be conducted by the employer. The processing fee is also EUR1000. You can apply for this type of permit if your spouse has a critical skills work permit. There are no processing fees for this work permit, as well as a labour market needs test is not required. You will need to a letter from the employer of the primary work permit holder (the one who holds the critical skills permit) confirming that they are still employed and their job title. This letter needs to be dated within the last three months from the date of receipt of the spouse/dependent work permit application. So basically try get this letter sorted out while you are applying for jobs, as when you submit your application, you will want to have this ready. Either you as the employee, or your employer, can submit the application for your work permit. This application can be submitted online. You will be required to submit electronic copies of documents you will need to show based off the type of permit you intend on applying for. One of the documents will be the form you fill online, the last page needs to be printed off, signed by both you and your employer and the original needs to be scanned through and attached. You will also need an digital passport photo (I did this using a free app on my phone, just make sure you have the right specs). Processing of your application is done by date submitted. To process an application can take anywhere between 6- 8 weeks to process. In extreme cases, it can take up to 12 weeks. If your employer is a trusted partner, the process is a lot quicker (2 – 4 weeks). I made the mistake of thinking that this would be the same for me, however mine was a standard application, in the end it took 8 weeks to be completed. Securing a job can be a long and challenging road. It is probably worth mentioning that I am in my mid 30’s and with a half decent career in S0uth Africa, I wasn’t prepared to move to Ireland to work as a waitress or in a field that is not my specialty. I was looking for a job, but also wanting the job to make sense in my career growth. So perhaps you can say I was a bit particular on the jobs I applied for. If you are looking to take on anything that pays the bills, perhaps your journey to employment will be easier. I was thinking long term, willing to wait for the perfect role in the best company. I am super happy to say that that has paid off for me. But the wait was stressful and a worry at times. A friend suggested I only apply at recruitment agencies, but in my opinion if you need a work permit, and you aren’t necessarily looking for a role that is highly skilled or in demand, you are probably better off avoiding recruiters. One recruiter told me that they would naturally put other names forward that did not require a work permit because they want to secure the position quickly so that the can earn their fee. If an employer is paying a recruiter and still needs to pay and go through a work permit application, this is a long and expensive process for them. So in my opinion, apply at recruitment agencies, but don’t hold you breath, keep applying directly for roles in companies too. I suggest that where possible, rather state that you are eligible to work in Ireland (which you are), however, try hold off on going through the nitty gritty details that you need to apply for a work permit until you are face to face with a prospective employer. This means you have a chance to build rapport with them, and show your value, before they find out that you need a work permit. It sounds a bit misleading, but honestly, if you start your covering letter with “there is a ton of admin we need to go through before I can start working with you”, trust me, you won’t get a call back. But having said that, be honest when they do ask. My now current employer actually called me back and plainly asked what my intentions were to live and work in Ireland. They were concerned I wasn’t planning on being here long term. I can honestly say that while Rob and I appear to be very casual about our future, having successfully navigated this admin minefield, I have no interest in going through any huge life changes for a while. We fully intend on making it work here in Ireland for as long as Ireland will have us. If you can, show them that you intend to stay long term, not just job hop and leave in a few months. Going down this application process is a long term commitment from both parties involved, and they are taking a big chance in hiring you, so the least you can do is be 100% honest with your intentions. The recruitment process can be delayed. In some cases, I applied for roles and it took months to get a response back. There is often various steps in recruitment namely; telephone interview, then face to face interview, in some cases a presentation or panel interview or meeting with CEO. Depending on the time of year, and when people go on holiday or end of financial year – these all have knock on effects on how quickly the process is completed. Like I said, I started actively look for a job end of January. I applied for hundreds of roles, and got quite a few telephone interviews and call backs. I went to 6 face to face interviews, and made it through to final round of 3 of them. My job offer came through at the end of May 2017, then it took a further 8 weeks to get my application processed, so in the end I was unemployed for 4 months before starting this job. People told me this, and it is only really true once you are through it, but enjoy your unemployment, because the minute you get that work permit issued, things can move very quickly! I got the permit on Thursday last week, and now today, Monday, I am starting work! Once you go through the recruitment process, get an job offer in writing from your employer. Allow for 6-8 weeks. You can check online to see what date they are reviewing. The website updates Mondays, Wednesdays and Fridays. However there were a few weeks when the date did not move for 2 weeks, and then there were days when the date jumped by a few days. It is difficult to say how it will take for you, so just keep checking and try not panic. There is nothing you can do to speed up this process. Trust me, I know how stressful it is, but you will get there. Once the website shows that they are reviewing applications from your date, then you will get notified if there is any documentation outstanding. For me, there was a form my employer needed to submit. I was lucky that the document I had missing was submitted quickly (that day). They give you 28 days to submit outstanding information. It is important to note that if you have submitted it incorrectly, you risk the chance they decline your application and you will have to resubmit – so it is worth it to be thorough first time around. Once they receive all the correct information, they issue your permit and send via post to you and your employer. Once you have the permit, you will need to update your GNIB card (your stamp will change). This costs EUR300, and you need to book an appointment online. I recommend booking this asap as it is hard to get a date, even though you are given time to update, the next booking time I could get is only in September even though that was the very next thing I did after receiving my permit in July! You will also need to register your PPS number with Revenue, before your first paycheck. This is important so that you are to charge the maximum tax allocation. You can register online here. I realise that this post is probably way too much info, and really specific to people wanting to work in Ireland, butI hope it helps! I personally found it all very overwhelming and battled to get a lot of these answers online. 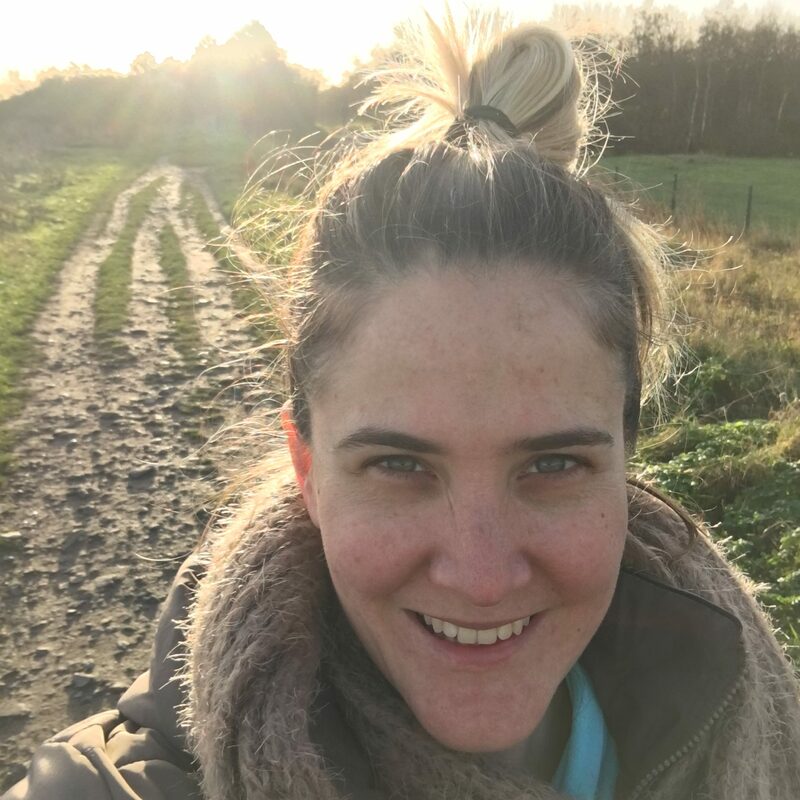 The aim of this post is to make it easier for you, if you have any further questions, drop me a message in the comments, or email me: thisisusliving@gmail.com. I am always keen to chat, and will try my best to answer any questions you may have! 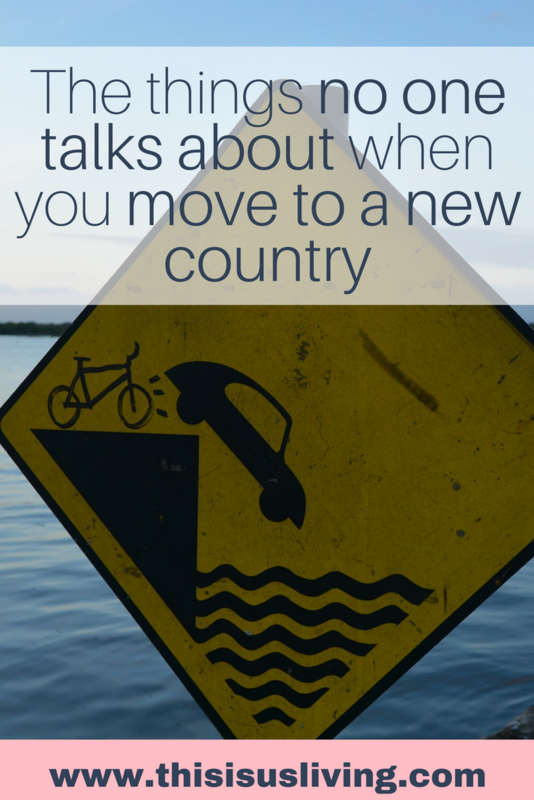 WHAT IS THE BEST PIECE OF ADVICE YOU CAN OFFER ABOUT FINDING A JOB AND GETTING A WORK PERMIT IN A FOREIGN COUNTRY? Johannesburg is known as an expensive city to live in in South Africa. The salaries are often higher than other parts of South Africa, but cost of living in Johannesburg can be costly. It seems we have swapped one expensive city for another by deciding to move from Johannesburg to Dublin. This is because Dublin is also known to be extremely costly to live in. By UK standards, Dublin is almost as expensive as London for people to live in the city of Dublin. 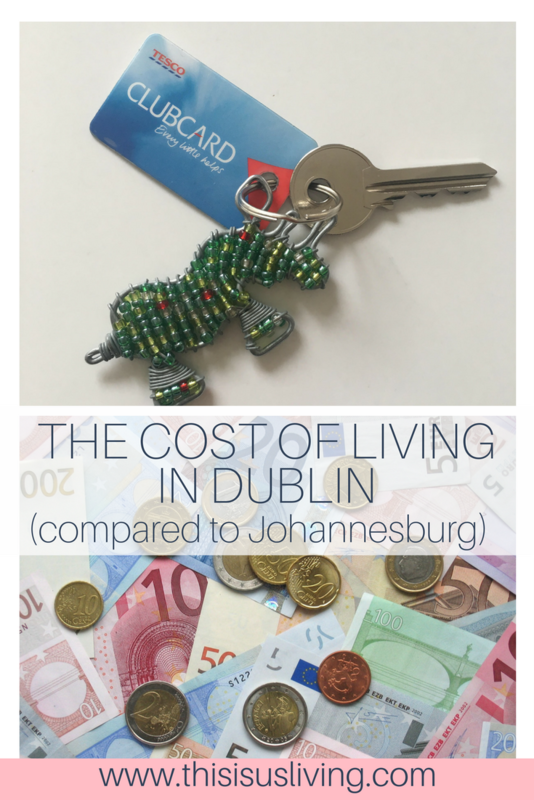 Since moving to Dublin, Rob and I have often tried to compared the cost of living here in Dublin versus back home in Johannesburg. I sometimes think life here in Dublin is better, simply for the fact that we are currently living on one salary, something we don’t think would be possible back in Johannesburg. It definitely would not be possible to live the life we had back in SA in the same way. Things would have had to have changed, and been cut down, and even still – I don’t think it is possible to live on one salary in South Africa. In some ways you just cannot compare the two cities – they each offer something different. 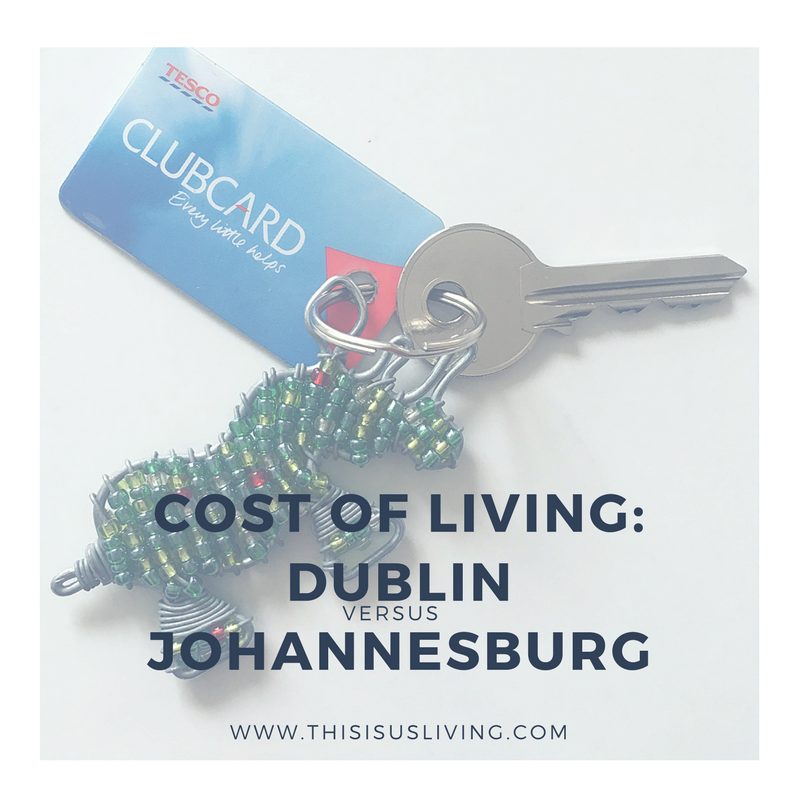 But for the purpose of this post, I have outline a few differences that we have personally experienced (Disclaimer: this is our opinion of the cost of living in Dublin compared to living in Johannesburg). Eating out in general. Back in SA we would eat out quite regularly. Just a regular dinner, dessert and couple of drinks (or bottle of wine) is something we did at least once every second week. But eating out in Dublin can cost you anywhere from an early bird special (before 6pm) EUR20 and up, per person. Chicken Fillets. For some reason, buying chicken filleted breasts in bulk in SA was way cheaper than here in Dublin. It is almost cheaper to eat pork or salmon in Dublin than to eat chicken! Beer/wine. *You knew I would go here*. Wine in South Africa is pretty hard to beat (and that is not just me being biased). There are loads of really good bottles of wine for under ZAR60 a bottle in the local shops throughout South Africa. Whereas in Dublin you have to wait for Tesco to have a sale to get a half decent bottle for EUR10. You can get Spier here in Dublin, which honestly I absolutely hate it, but that costs over EUR12! Not only wine, but beer is also expensive here in Dublin. It kind of baffles me that local beer like Guinness is still quite expensive in Dublin, the home of the black stuff. Back in SA, most of the local beers are affordable (obviously not including the craft beer). Also, I am yet to find a good (cheap) cider like Savanna. Although you can get Savanna’s at certain stores and pubs – it is just really expensive in Dublin! Monthly rent in Johannesburg compared to Dublin. Not only can you get a place that is a lot bigger, with a garden and a garage, and possibly some off street parking in South Africa, but rent is a bit cheaper there too. The only difference is that most places in South Africa are rented unfurnished. For the rand value price we are paying for rent here in Dublin for a 2 bedroom place with no garage, and a teeny court yard garden – you could rent out 3 places in some parts of Johannesburg (atleast!). Buying a house/ getting a loan for a house is a bit easier to do in South Africa. Here in Dublin you need at least a 10% deposit, and you can’t borrow more than 3.5 times your annual salary so getting a loan from the bank is tricky. Cost of houses means that it is almost impossible for families to get onto the property ladder, so you find a lot people rent for a long time here. Whereas in Johannesburg, Rob and I went out and bought a place over a rainy weekend one day with very little issue. Cleaning services. In South Africa, cheap domestic labour is rife (which is definitely not something I agree with). Many homes have a cleaner that comes in at least once a week to clean their homes. Here in Dublin, you would be lucky to find someone to come and clean for a few hours – and guaranteed they won’t really do the “deep clean” you are used to back in SA. Medicine. This isn’t so much the cost of meds but more the shortage of strong medication over the counter in Ireland. If you are planning on moving to Ireland, stock up on your meds of choice before you get here! Clothes could be seen as being cheaper in South Africa, but Ireland has proper discounted sales, and a huge selection of fast fashion that are very, very affordable. Milk, eggs and cheese. I find these to be quite a bit more affordable than back in South Africa. Seasonal food can be very affordable. Over winter we got a bag of brussel sprouts for 12c in Dublin! and right now nectarines and peaches are 49c for a punnet. Public transport might be more expensive in rand value, but it is more reliable here than in South Africa, and more of a network here in Dublin makes it well used by a lot of people. Some companies also offer bike to work schemes where they incentivise you to use a bike instead of driving in to work. Public transport is also capped daily and weekly so that it does make it more affordable to use regularly. Phone and gym contracts don’t tie you in – so they feel like they might be cheaper in Dublin because it is so easy to switch and change if the prices increase. It takes as little as 2 hours to port your cell number so changing networks is pretty easy to do here in Dublin. Rob is currently paying EUR5 for unlimited data and calls within Ireland, since we can call home using whatsapp or skype – this makes it super cheap to do! Water is free in Ireland. Bit crazy but true. Currently government is trying to change this, but the public are having none of it, so for now, water is free. Things like electronics, I think costly pretty much the same in both countries. Electricity/Gas – In rand value it is more expensive in Dublin, but then we are needing to heat the house here in winter. But I think considering the portion of our salary that we used to pay for this, it works out a bit cheaper in Ireland that back in South Africa. We also pay this every second month, so its not a monthly cost. Cars are cheaper in South Africa, but we think that compared to the salary you earn here in Dublin, it is cheaper to buy a second hand car here in Ireland than it is on a salary you can earn in Johannesburg. DO YOU FIND IT EXPENSIVE TO LIVE IN YOUR CITY?